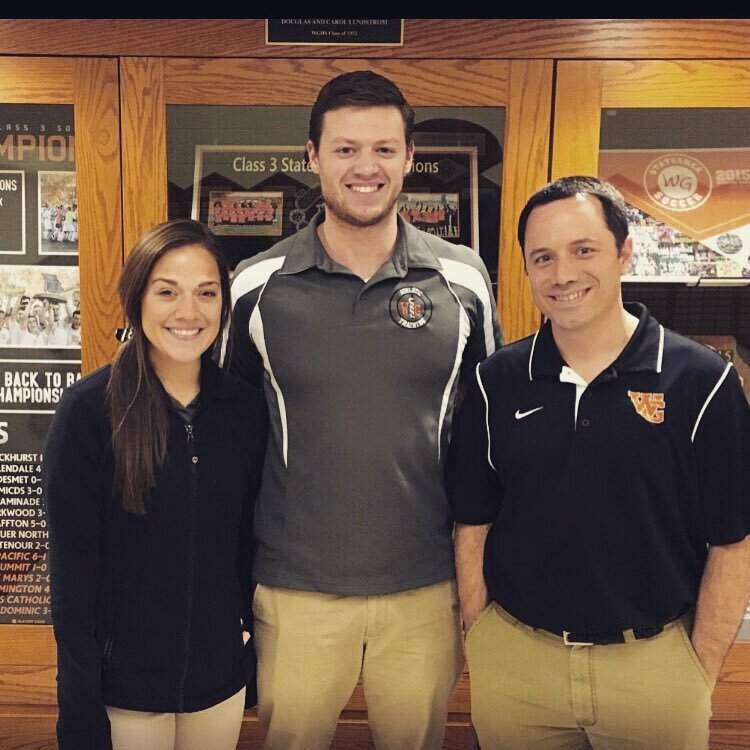 This spring we are doing our athletic training clinical rotation at Webster Groves High School in Webster Groves, MO. 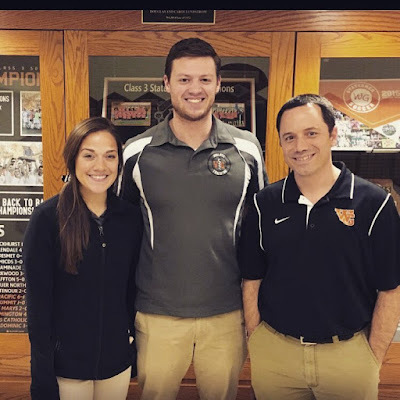 Sean Wright, ATC, Head Athletic Trainer at Webster Groves, provides copious amounts of challenges to always further develop our clinical skills. Regardless of the situation, whether it’s a new tape job or new type of trauma, he expects our full presence and participation so that this new experience will no longer be new to us in our future. Alissa has been here since last August, and she is very comfortable with her role everyday. The athletes and coaches are now familiar which makes this line of work a lot more enjoyable. We've been exposed to working with other interprofessional health care providers such as physicians, physician assistants and counselors. Working with these professionals has been valuable in that it forces us out of our comfort zone, which ultimately makes us better clinicians. One really great thing about working with Sean is he is always pushing us to learn new things. If we have down time in the training room, he’ll pull out the orthoplast and tell us to make him a splint. If we have an athlete walk in for rehab, he encourages us to present him with new exercises, and not use the same ones as we did last time. His persistence to constantly better us as clinicians is inspiring and unparalleled. Our experience this spring has been such a positive one. To say we will leave here better clinicians with an heightened skill set is an understatement. We are pushed everyday to be the best we can be, and we are so very grateful for that. We are looking forward to continuing our learning as we dive into the last season of sports here at Webster Groves.